Americans in the twenty-first century are keenly aware of the many forms of terrorism: hijackings, biological attacks, chemical weapons. But rarely do we allow ourselves to face squarely the deadliest form of terrorism, because it is almost too scary to think about-a terrorist group exploding a nuclear device in an American city. In this urgent call to action, Graham Allison, one of America's leading experts on nuclear weapons and national security, presents the evidence for two provocative, compelling conclusions. First, if policy makers in Washington keep doing what they are currently doing about the threat, a nuclear terrorist attack on America is likely to occur in the next decade. And if one lengthens the time frame, a nuclear strike is inevitable. 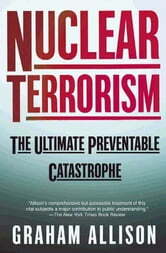 Second, the surprising and largely unrecognized good news is that nuclear terrorism is, in fact, preventable. 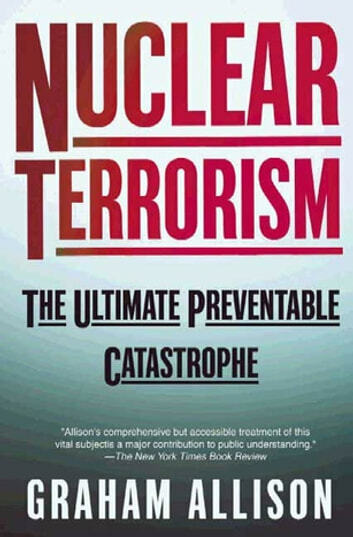 In these pages, Allison offers an ambitious but feasible blueprint for eliminating the possibility of nuclear terrorist attacks. The United States once relied on the threat of mutually assured destruction to deter the Soviet Union from launching a nuclear strike. But in today's fragmented world, a new strategy is needed, especially with nuclear material vulnerable to theft or sale through black-market channels. The choice is ours: to grab this beast by the horns or to be impaled on those horns. We do not have the luxury of hoping the problem will go away, and Allison shows why.